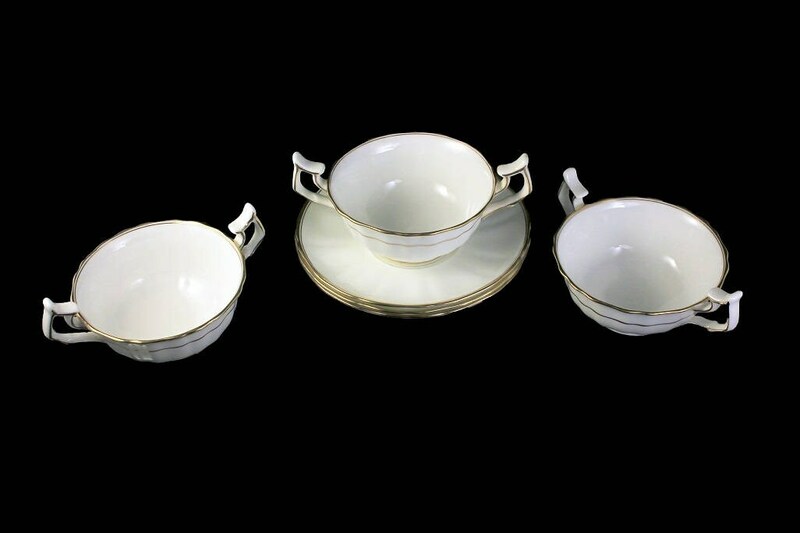 A gorgeous set of three antique footed bouillon cups and saucers by Cauldon Ltd. 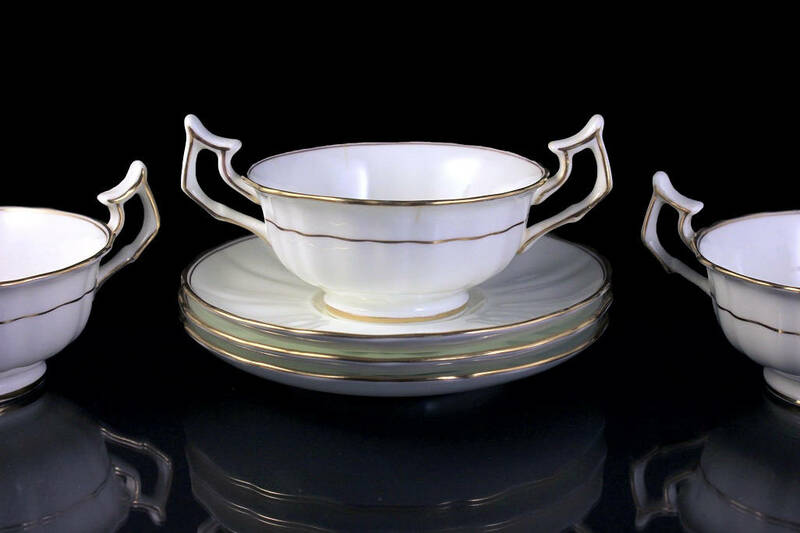 These are white with gold on the rim, handles, side and foot of the cup, and also on the rim of the saucer. 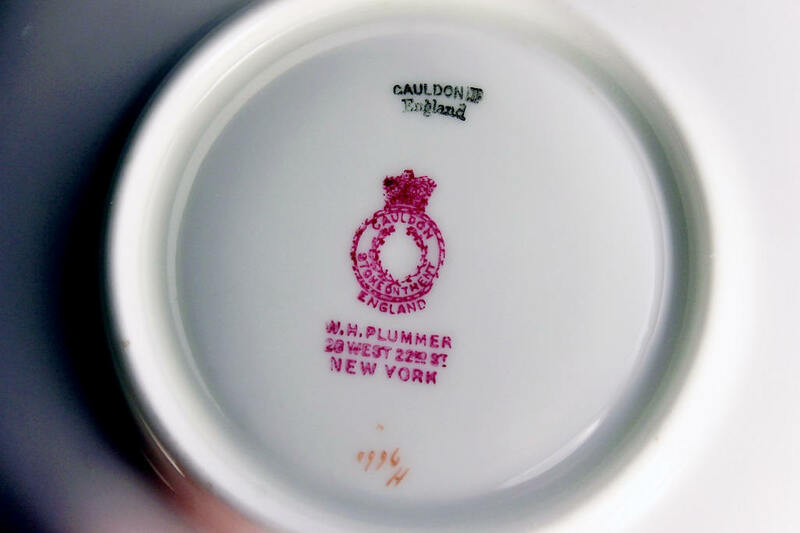 The cups and saucers are scalloped. These are made of fine bone china. 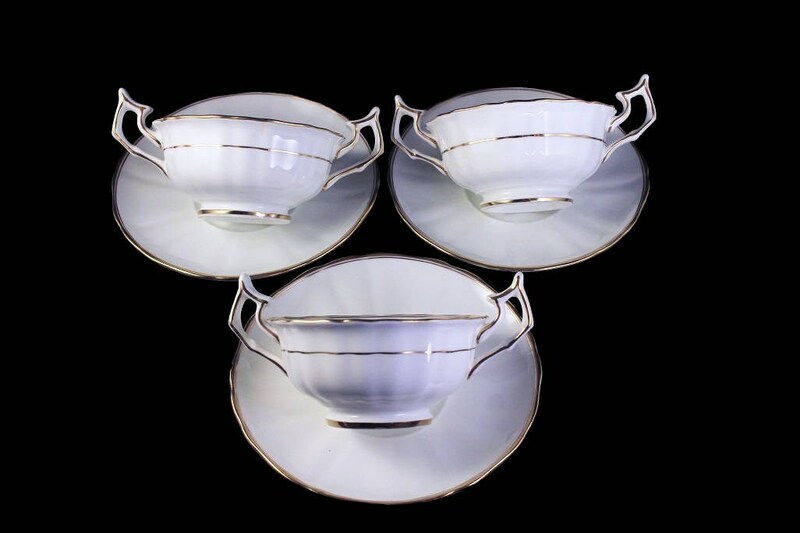 These would look spectacular on a dining table, buffet, or sideboard. They would be lovely in a china cabinet. 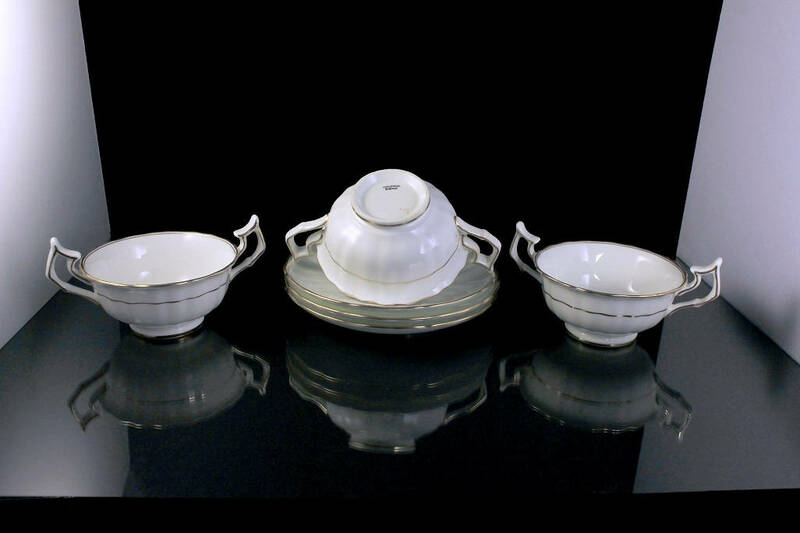 This set could be also used to serve sherbets or ice cream. Bouillon is drunk entirely from the cup or sipped from a spoon, one or the other but never both (that's bad table manners!). To test the temperature, a single sip is taken from the spoon. 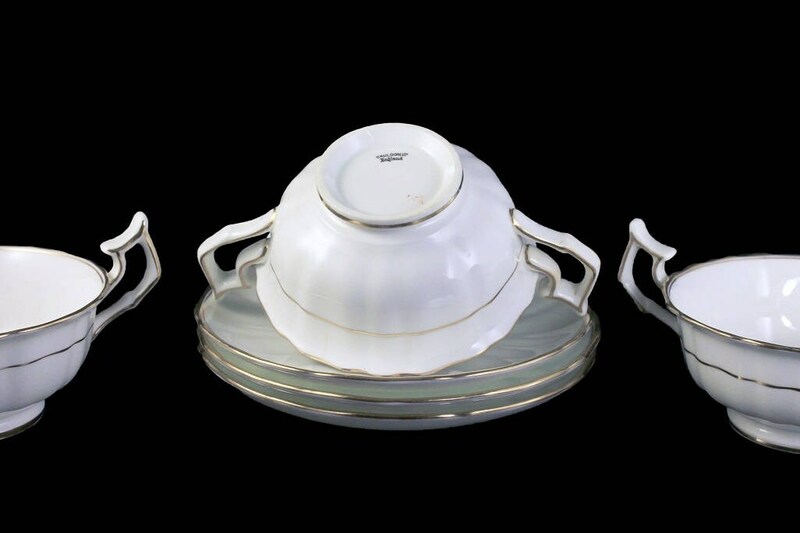 When bouillon is drunk from the cup, the cup is held by one or both of the open-loop handles, whichever is more comfortable. 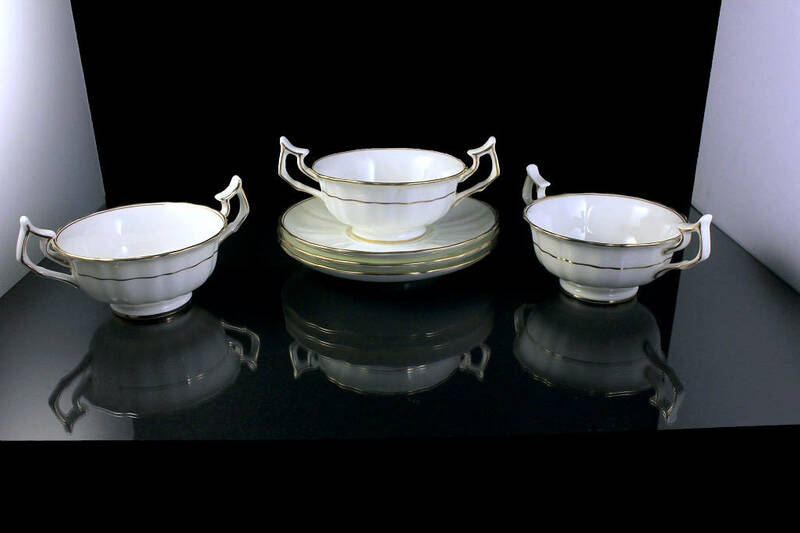 This set would make a great wedding, holiday, or special occasion gift idea. 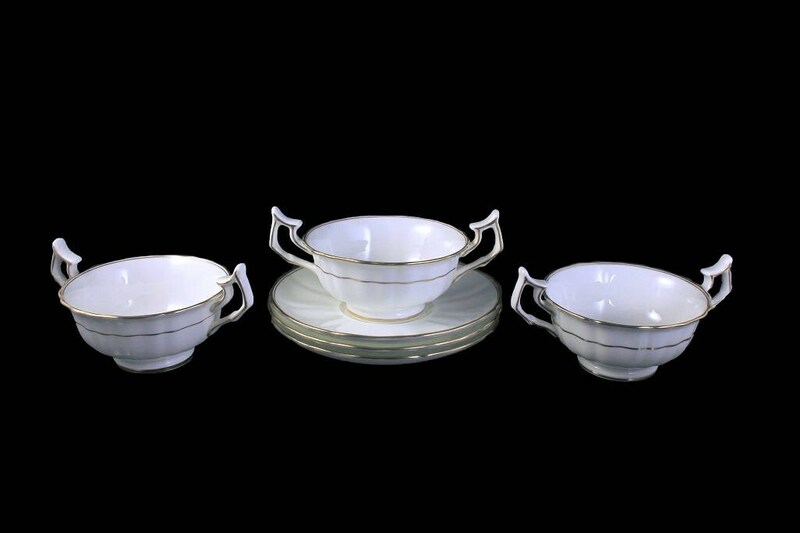 Perfect for the collector of antique fine china. 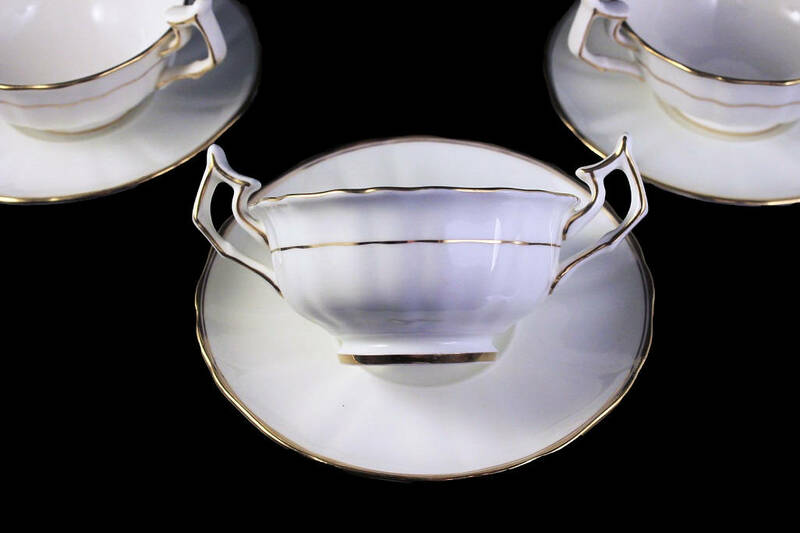 Treat yourself to a bit of past elegance.